Weighted quilts can be very comforting for many people. Specifically, weighted quilts have been used to help people with Autism. The weight is soothing and comforting… and possibly even more so when it comes in the form of a hand-made quilt, right? 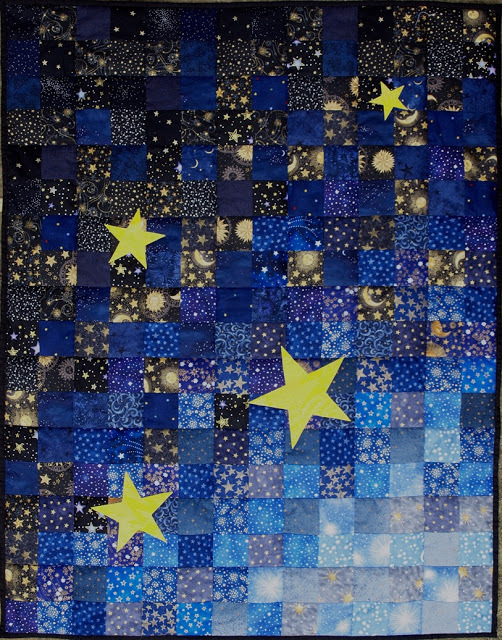 This beautiful “Weight of the World” quilt comes from Samaguita Quilts. Isn’t the name just perfect? Get all the details on the Weight of the World quilt here.